The Vancouver Condo Buzz » BOUTIQUE Westside Vancouver SOTA South Granville Condos for Sale at Birch & 14th! YOUR LIFE, YOUR WAY OF LIVING. Westside Vancouver’s SOTA South Granville luxury condos is an exclusive collection of four luxury homes coming soon to Birch & 14th! For home buyers looking for true exclusivity in an established and premium neighbourhood, the South Granville Vancouver SOTA Condos will feature the best of all worlds. If you appreciate local communities that are diverse, historic, cultural and walkable, the new SOTA luxury residences will be exactly what you’ve been searching for. From the finest interior finishes to spacious floor plans that suit your lifestyle and from spectacular North Shore mountains and city skyline views, the new luxury Vancouver Westside condos will be highly sought after in this market. As well, home owners and residents can enjoy expansive outdoor patios and living space that blend seamlessly between indoors and outdoors. 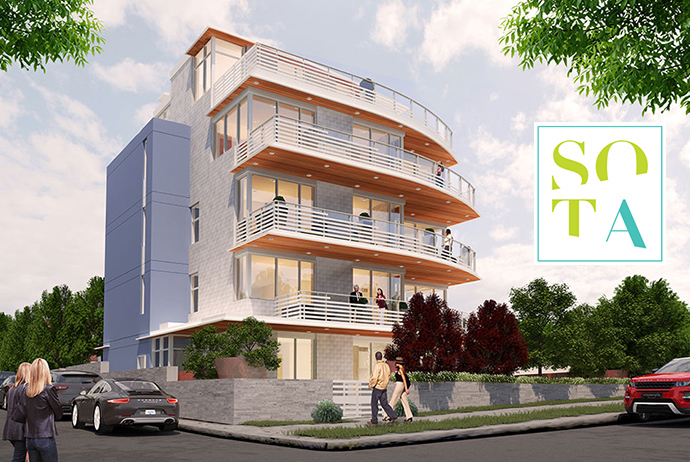 Only four exclusive properties in one of Westside Vancouver real estate’s most desirable neighbourhoods will be available at SOTA Living. Set on a quiet street in one of the most prestigious communities, SOTA Vancouver luxury Westside residences ensures your peace of mind as well as privacy. Yet SOTA Vancouver is mere minutes from the chic and stylish neighbourhood of South Granville, our personal favourite! 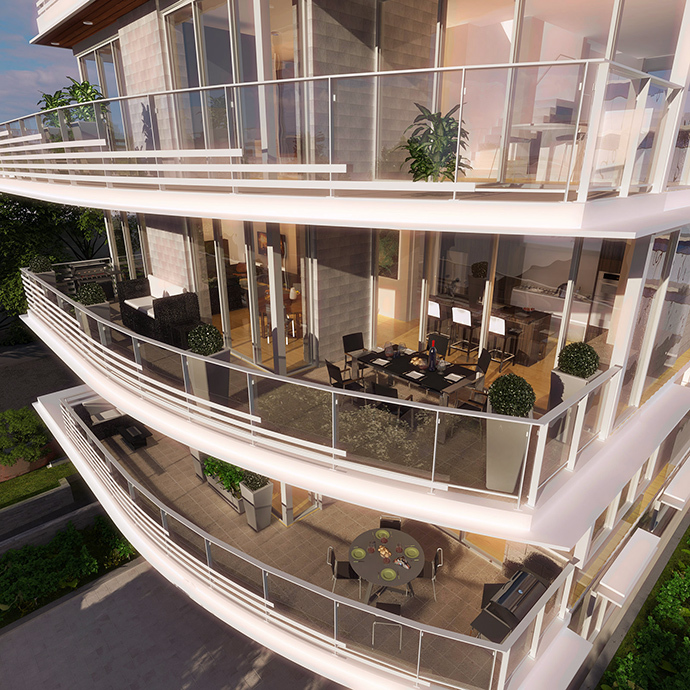 The spectacular modern architecture at the Westside Vancouver SOTA luxury condos is by award winning Francl Architecture who specializes in designing high-end homes for discerning clients. Elegant and modern, the architecture at SOTA Vancouver condos is unique and timeless and will feature floor to ceiling windows, expansive outdoor living space, limestone cladding, concrete construction and much more. There is only 1 unit per floor with 2 bedrooms and den/office plus 2 full bathrooms and a powder room. The SOTA floor plans are around 1,640 square feet depending on the unit and floor. For more details about this incredible offering, please refer to their marketing web site at www.sotaliving.com for all the information including a sample floor plan and interior finishes. Below is the SOTA video for your viewing pleasure. 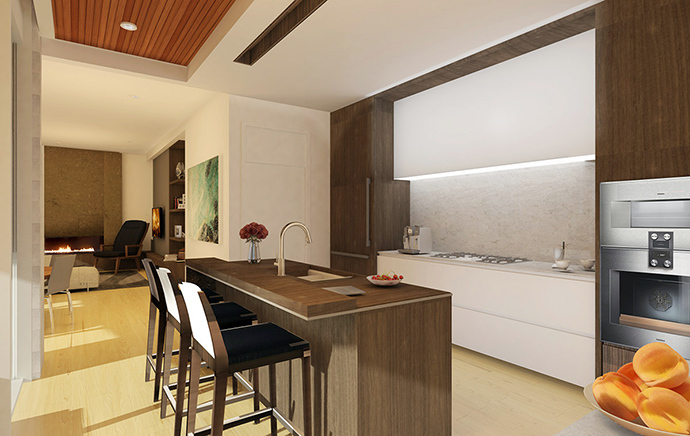 In addition to the premium South Granville location, the Westside Vancouver SOTA Homes will feature the most high-tech interior finishes that a homebuyer could ever ask for. From home based technologies for lighting and climate control to extra sound proofing and security conveniences for parking and storage, the SOTA Vancouver luxury homes will simplify your life as soon as you walk through those doors. As well, there are many built in luxuries that are features of these amazing residences. These include wine storage room, gourmet kitchen with Gaggenau appliance package and much more. The interior finishes are carefully designed and selected by award winning Project 22 Design group with a neutral palette enhanced by beautiful details that stand out. Some of the superior technology features includes an integrated entertainment and infotainment area with Central Hub housing, fully wired sound and media with Wifi mobile amplification in addition to iPad based function controls, energy saving Nest Thermostat and climate control. Also, there is keypad lighting control and in unit video for remote surveillance and added security. 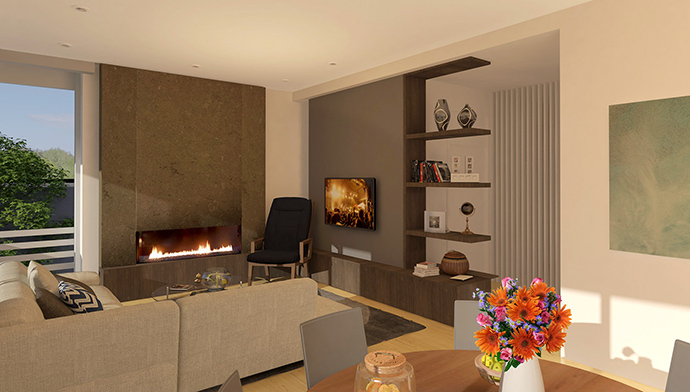 The luxury homes feature open plans with 9 foot ceilings and floor to ceiling windows. There are sleek roller privacy blinds throughout in addition to acoustically engineered ceilings for max sound proofing between homes. All homes are completely air conditioned with multiple zone controls in addition to engineered hardwood floors in the main living areas. There are 2 bathrooms and 1 powder room per floor plan and the bedrooms have 100% wall carpeting. The bathrooms at the luxury Vancouver SOTA West Side condos will have radiant in floor heating and the living rooms have gas fireplace. The SOTA Vancouver luxury Westside homes also have a laundry room with full size, top of the line Samsung washer and dryer. The kitchens at the Westside Vancouver SOTA homes will include solid wood cabinets, soft close cupboards and drawers, beautiful quartz stone counters, lots of counter top space and storage. As well, all homes come with a high-end appliance package by Gaggenau (30” wall oven, combo steam convection oven and 36” fridge/freezer and gas cook top with integrated hood fan). There’s also a tall tub full size dishwasher in addition to a Marvel dual zone wine fridge with 44 bottle capacity. Other kitchen features at the ultra luxury Vancouver SOTA Westside condos includes a Blanco stainless steel sink, whisper quiet garburator and integrated Panasonic microwave in the pantry space. The ensuite bathrooms at SOTA luxury Vancouver condos feature radiant in floor heating, large format porcelain tiled floors, sleek porcelain tiled surrounds and walls in addition to dual vanities with mirror and generous counter space and storage. There’s under cabinetry lighting, custom cabinets with soft close cupboards and drawers in addition to a high efficiency dual flush toilet by TOTO. The ensuite also has a full size frameless walk in shower with separate soaker tub. The timeless design is by Francl Architectures and ETA Landscape Architects provides the sustainable outdoor landscaping for the project. As well, the building is of concrete construction and built to the highest earthquake and sound mitigation standards. There is secured elevator access to each unit and a striking and modern lobby entrance. The luxury Vancouver SOTA Homes will also feature generous west facing outdoor balconies from 325 square feet in addition to pre wiring for ceiling mounted outdoor heater and outdoor natural gas for your barbeque. As well, there are fully retractable sliding doors to connect indoors with outdoor living spaces. The South Granville SOTA Vancouver homes willa lsof eature two oversized parking spaces per unit in a resident only garage in addition to a car wash on the garage level. All homes have bike/storage lockers around 80 square feet as well as a secure, temperature controlled wine room accommodating 200+ bottles per suite on the garage level! All homes come with a home warranty too! The building will be secured with security cameras featuring 24 hour video monitoring at the entrance to and within the parkade, lobby and all common areas in addition to flood protection sensors, key fob access with smart phone and iPad controls.